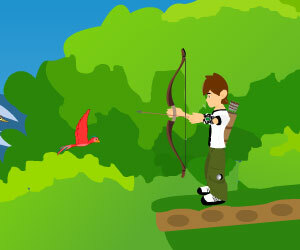 Ben10 Archer, archery game, Play Ben10 Archer Game at twoplayer-game.com. Ayuda a ben 10 a usar el arco par ganar el maximo de puntos posible. Use arrow key to control the bow.